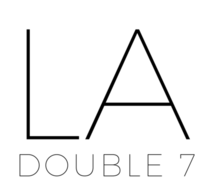 Linen – LA Double 7, Inc. Wear this delicate scarf as a comfortable substitute for a necklace. Featuring thin and thick stripes in shades of blue and grey, this scarf makes casual ensembles look effortlessly chic. Incorporate a sophisticated accent to your outfit with this lightweight multicolored striped scarf. Made from soft-to-the-touch acrylic, this versatile scarf works great for year-round fashion.